With a 15-year experience in the real estate, Reagan Masone remains an astute leader in the industry. Tenacious, savvy and compassionate, Reagan’s personal integrity and professionalism are touchstones that have made her one of the most successful realtors and brokers. 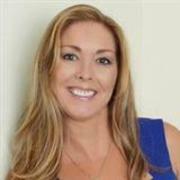 Reagan is the founder and a Broker of the SunCoast Real Estate Group, a top-producing firm with two great locations in Indian Harbour Beach and Melbourne with a diverse team of over 37 hand-picked, highly-trained Realtors to represent buyers, sellers and renters throughout Florida. Known for her uncompromising approach in real estate, Reagan’s skills are uniquely matched by her passion in helping her clients achieve their real estate dreams. She has a long record of successfully guiding diverse clients with their residential investments, commercial real estate acquisitions, lease obligations and asset reposition and dispositions. In fact, she has listed over 600 commercial and residential properties in the last 7 years totaling to over $100 million. Reagan’s real estate acumen is backed by a flourishing business career. She has owned and operated several successful businesses and developed commercial properties. She also wears a hat of an inventor, having invented a smoke detector and weather alert radio, a life-saving device that was incorporated by Halo Smart labs in its operations. While she remains a renowned Realtor, Reagan’s pride remains in assisting her agents experience the highest purpose in their careers. She mentors and trains them towards becoming leaders in the industry. Led by this mantra, Reagan has single-handedly cultivated SunCoast’s value system and culture thereby creating a collaborative and cooperative team. With an unrelenting commitment to this field, Reagan serves as an active Board Director in the Space Coast Association Board of Realtors. She has previously served on the Professional Standards Committee and as Chairman of the Commercial Investment Division at the Board of Realtors.